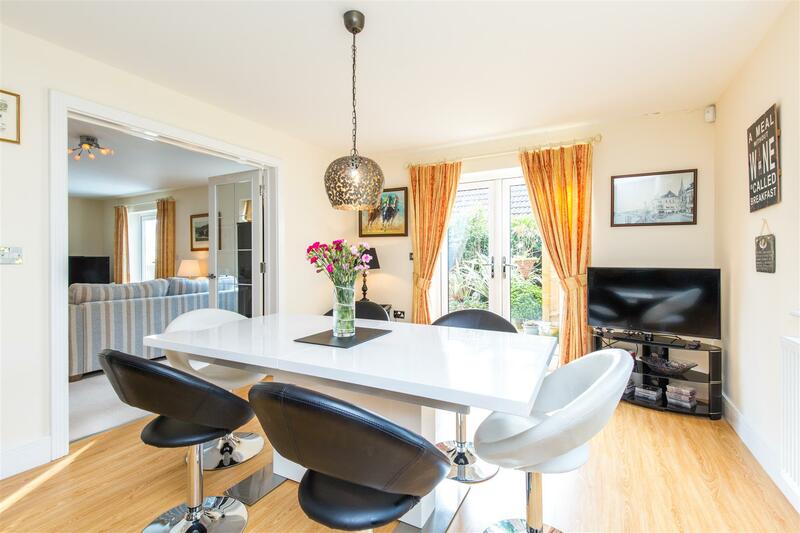 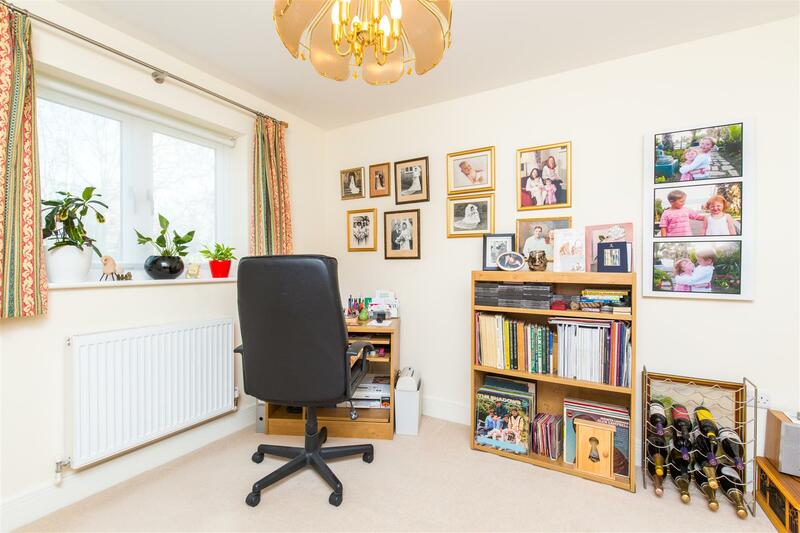 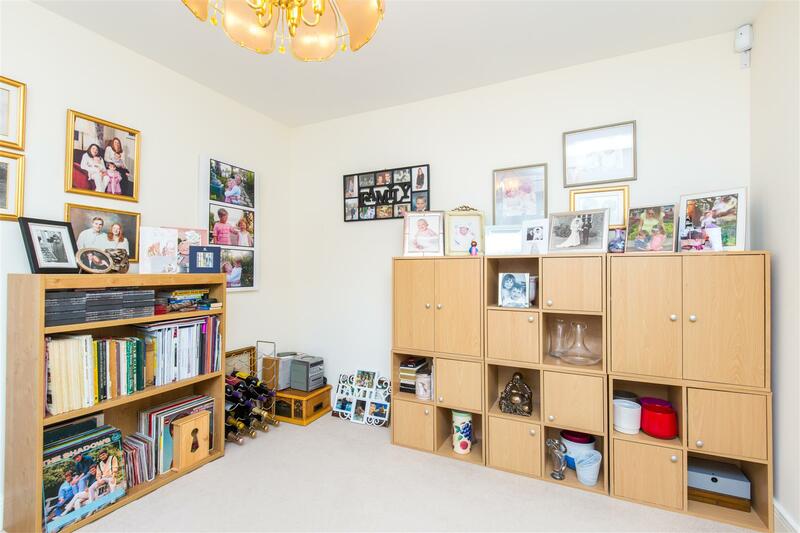 A beautifully presented, 6-year old, spacious detached house, located in a highly favoured area, with four double bedrooms, "hub-of-the-home" kitchen/breakfast/dining room leading through to a large sitting room, study/playroom. 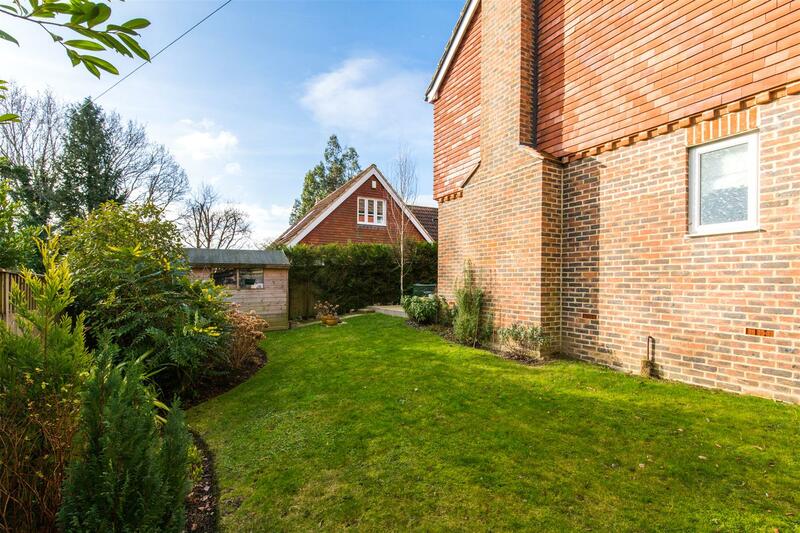 The low-maintenance gardens have a south facing aspect. 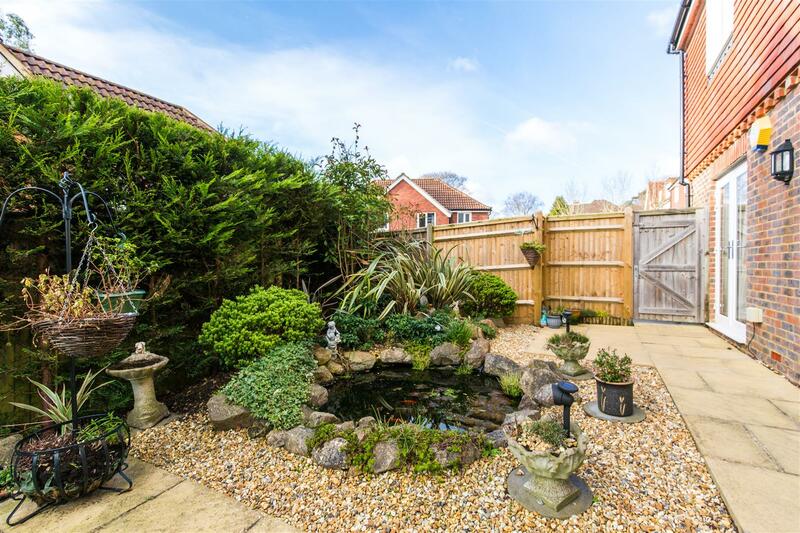 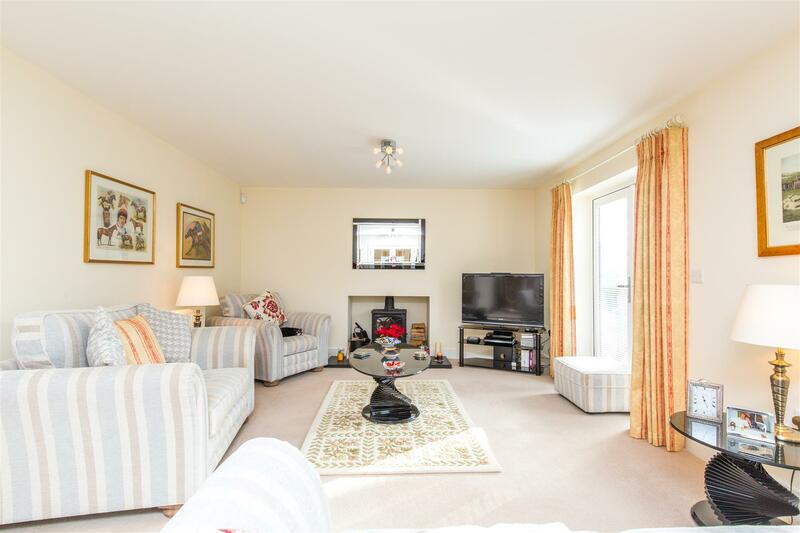 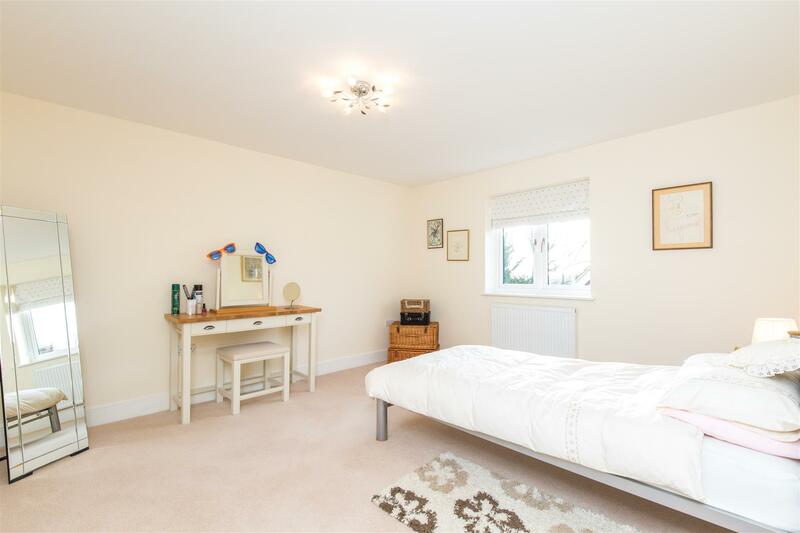 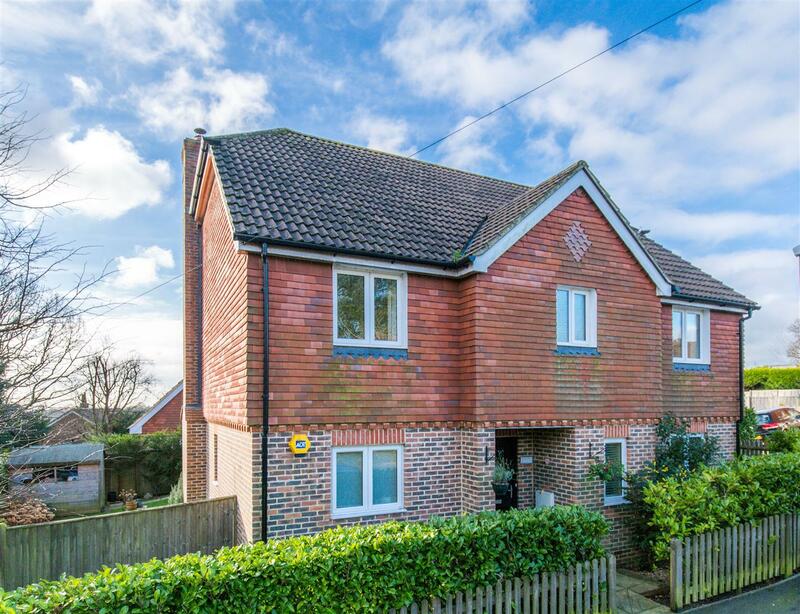 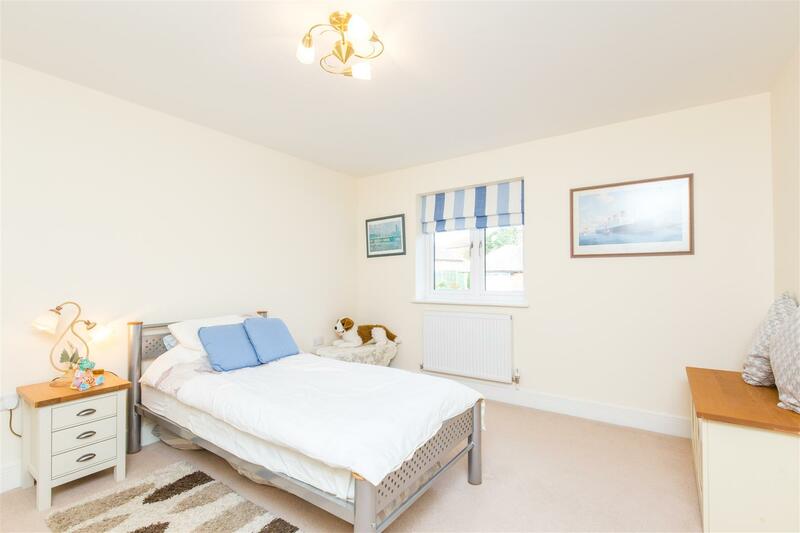 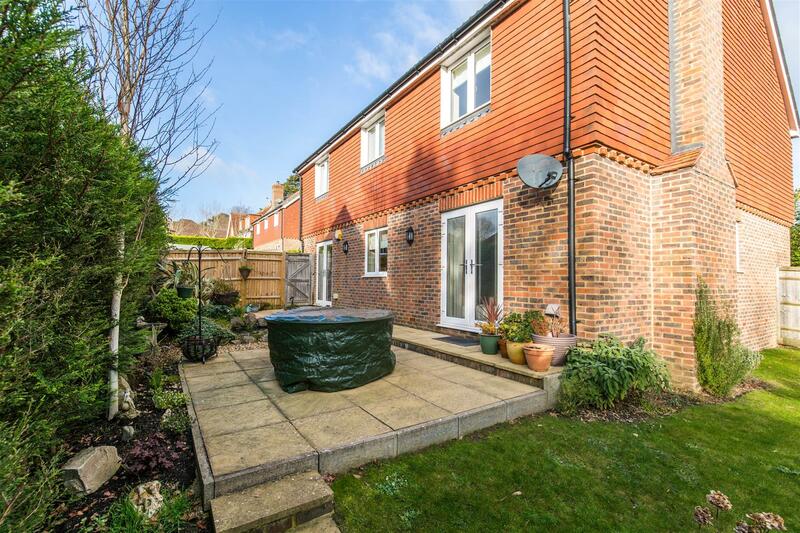 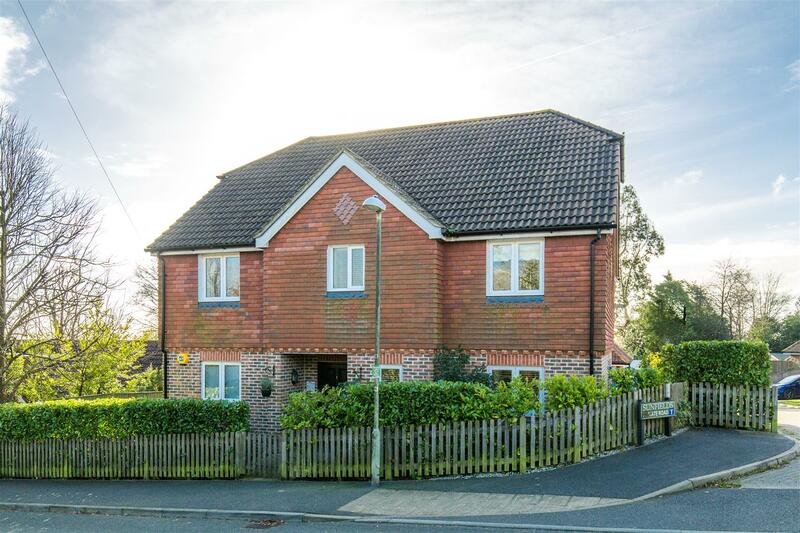 This beautifully presented, four double bedroom, detached house has bright and spacious accommodation and is in a highly favoured, sought after and convenient location, only 0.2 miles from the local shops and bus service in Hailsham Road and with Waitrose and Parkside Primary School within a 0.5-mile walk. 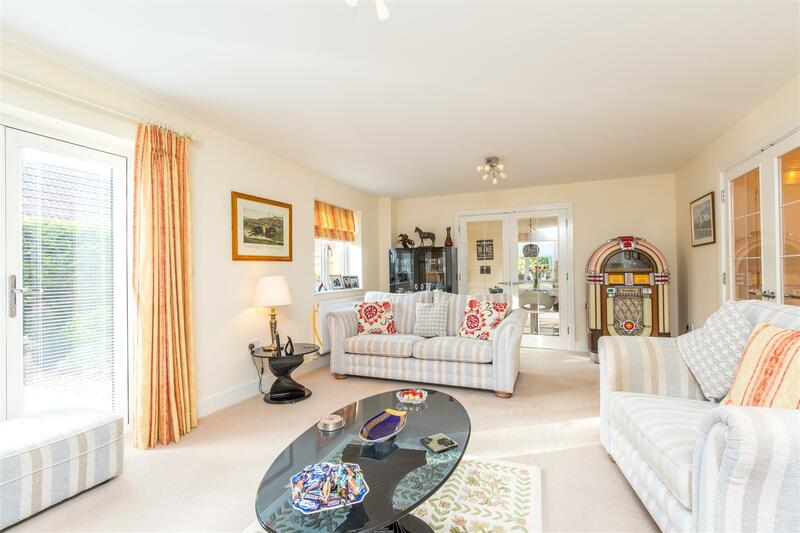 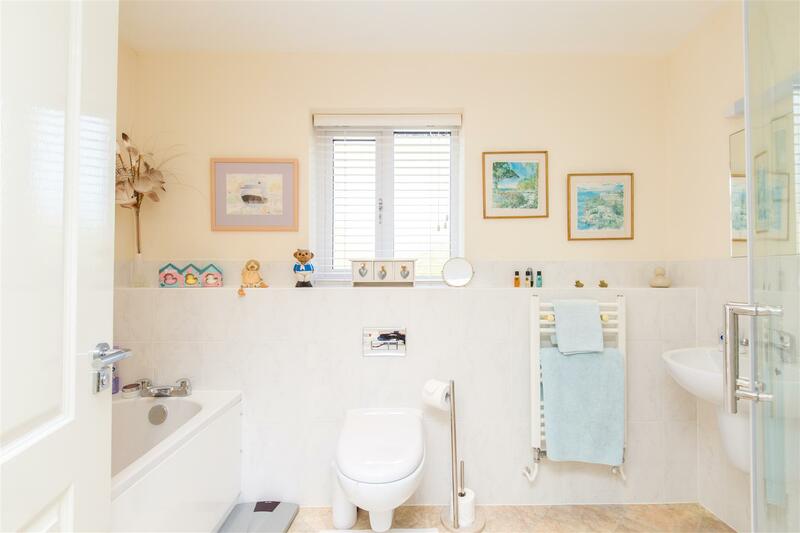 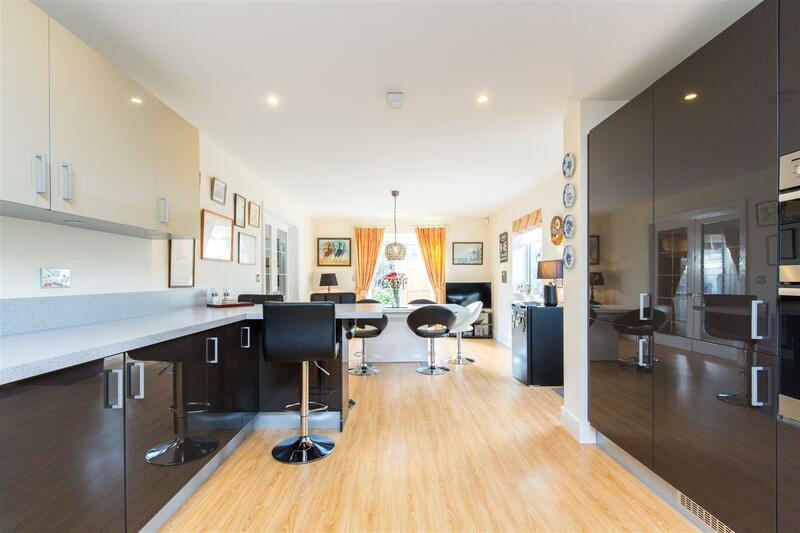 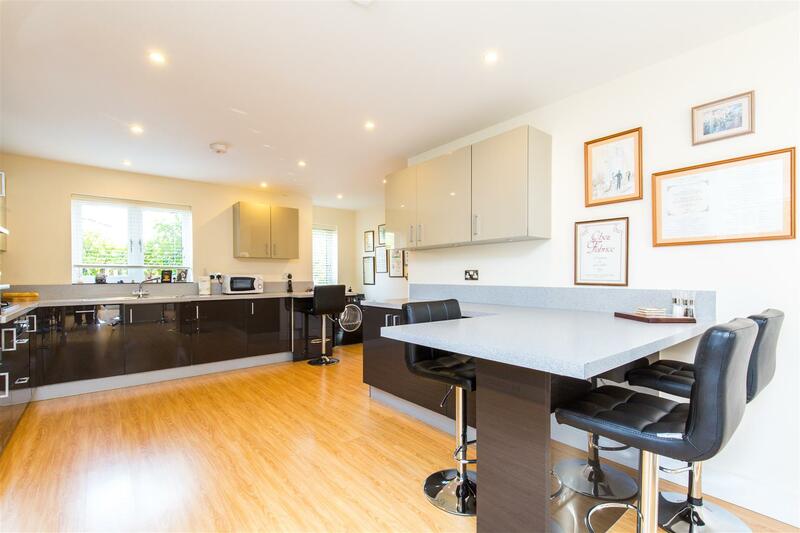 Built about 6 years ago by a highly regarded local developer, this superb home has a contemporary, semi-open plan ground floor layout, with the rooms flowing into one another, enhancing the feeling of space and natural light. 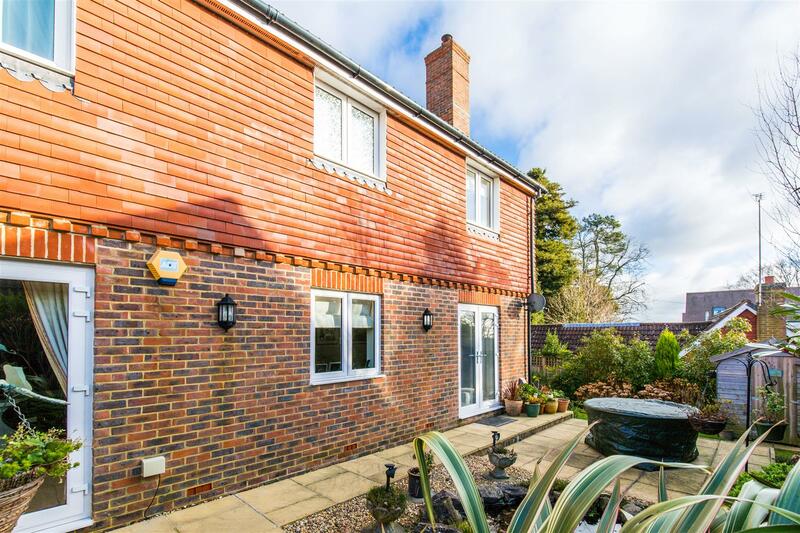 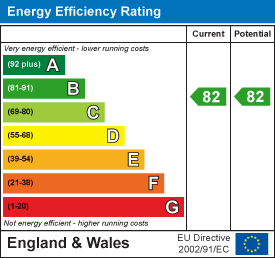 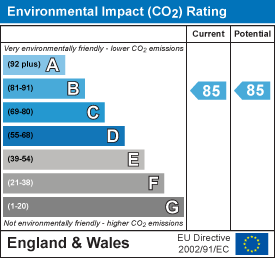 Further benefits include the remainder of the NHBC guarantee, double glazing, gas central heating and a private southerly facing "sun-trap", low-maintenance back and side garden. 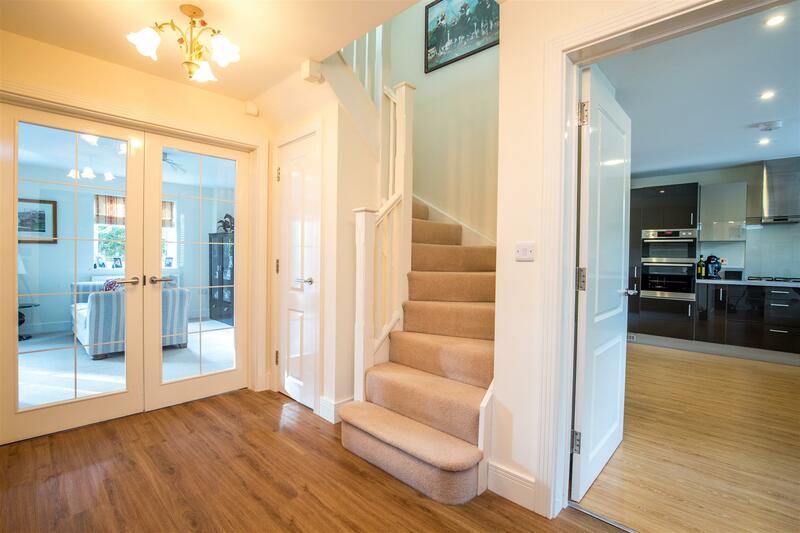 Entering the home through a wide entrance porch, a welcoming and spacious hallway has a cloakroom leading off, a coats cupboard, generously proportioned study and glazed double doors that lead on into the bright sitting room, which has a log burning stove and French doors that lead directly out into the back garden. 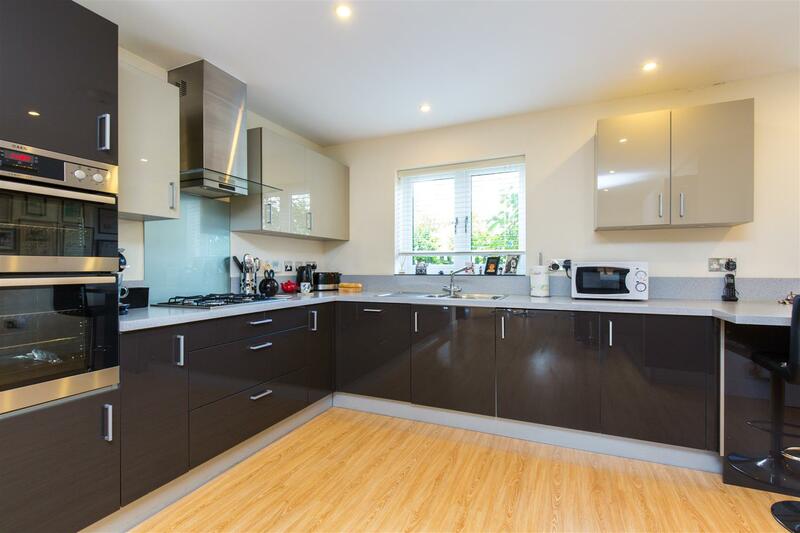 Further glazed double doors also lead into the triple aspect kitchen/dining room; a fabulous "hub-of-the-home" space with French doors to the back garden and a superb range of kitchen cabinets with stone style worktops and integrated fridge/freezer, a further freezer, double oven, gas hob and cooker hood. 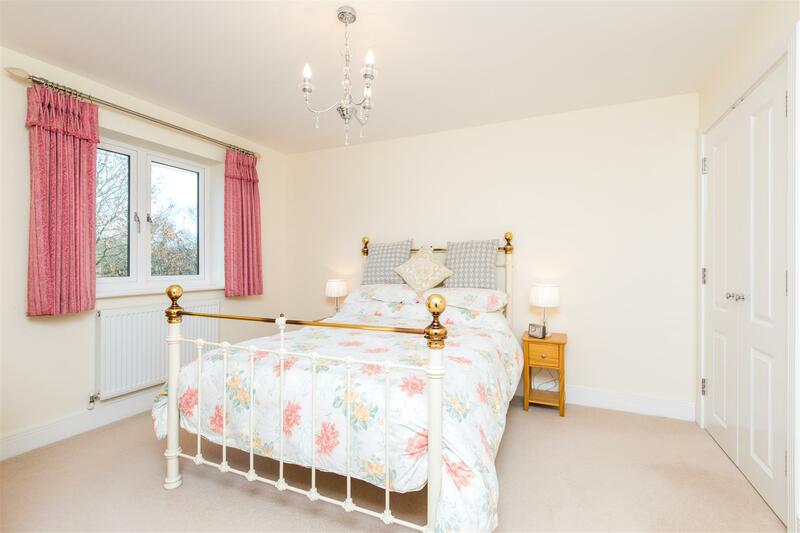 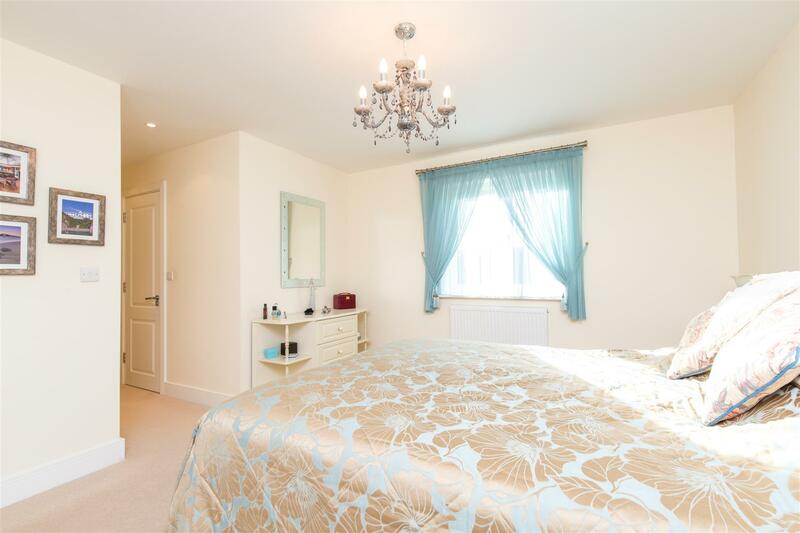 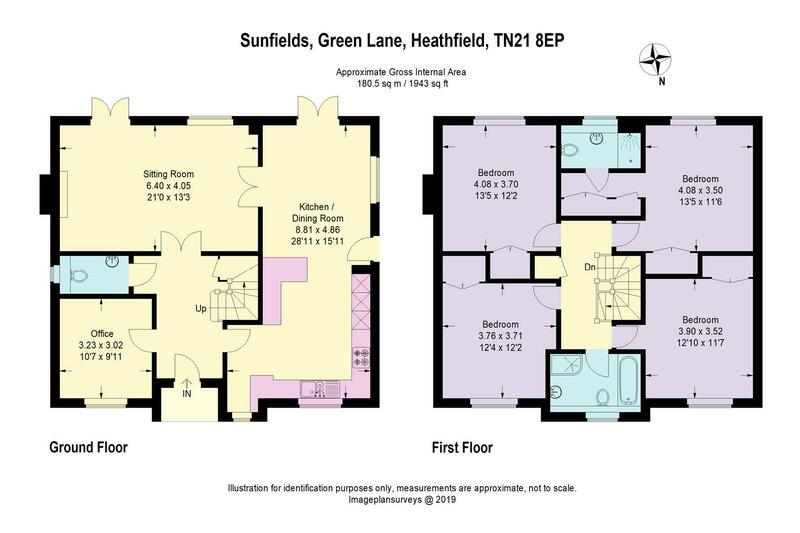 There are four double bedrooms on the first floor, all fitted with large wardrobes, whilst the master bedroom suite has additional wardrobes together with an en suite shower room. 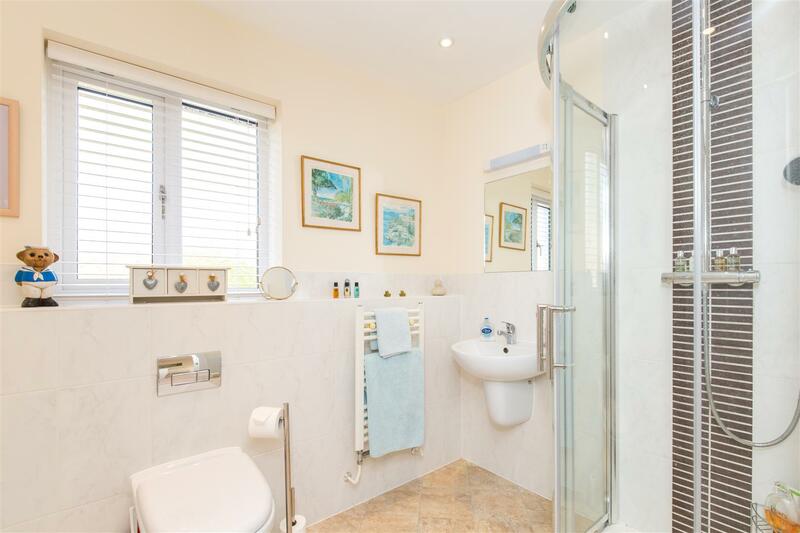 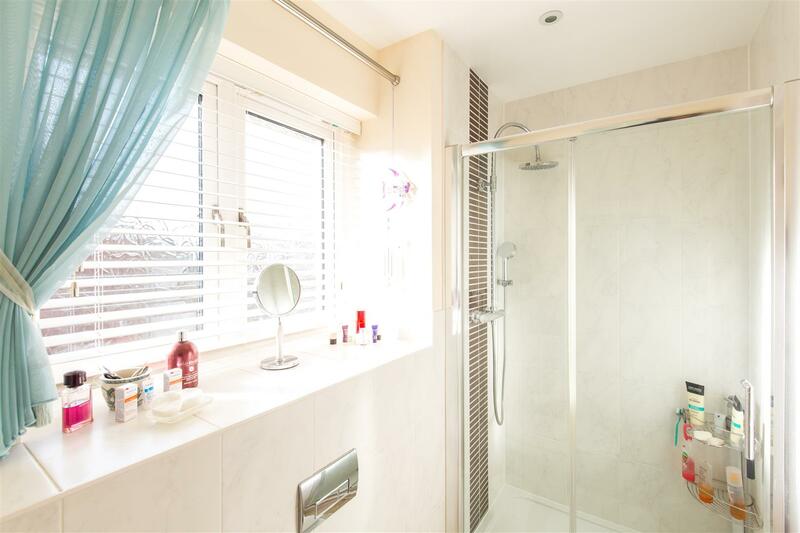 The family bathroom boasts both a bath and a separate shower cubicle.